Active across the United States, The Order seeks to aid the newly arrived Irish, both socially, politically. The many Divisions and club facilities located throughout the U.S. traditionally have been among the first to welcome new Irish Americans. Here, the Irish culture — art, dance, music, and sports are fostered and preserved. The AOH has been at the political forefront for issues concerning the Irish, such as; Immigration Reform; economic Incentives both here and in Ireland; the human rights issues addressed in the MacBride Legislation; Right-To-Life; and a peaceful and just solution to the issues that divide Ireland. The Order has also provided a continuing bridge with Ireland for those who are generations removed from our country. 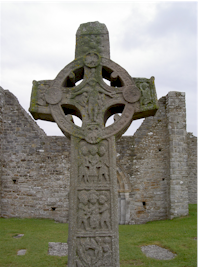 The AOH sponsors many of the programs associated with promoting our Irish Heritage such as the IRISH WAY PROGRAM. The goal of Project St. Patrick is to fund grants and support the men and women who choose a religious vocation. Project St. Patrick is a joint Catholic Action program of the AOH and LAOH which was started in 1995. To date over $300,000 has been given out to needy seminarians and religious who are studying to serve our Church. Currently the National Board is reviewing the Program and trying to make adjustments that will make it more proficient. Funding for Project St. Patrick comes from outright donations from AOH & LAOH State Boards, County Boards and Divisions as well as from individual Hibernians to the Annual PSP Easter Appeal or throughout the year. Project St. Patrick Prayer cards are also an additional source of funding for this program. When a member, family or friend passes away a PSP Card is presented to the family. Learn about the history of Division One. WANT TO KNOW MORE ABOUT US AND WHAT ELSE WE DO? The AOH is one of the most comprehensive fraternal organizations in America. 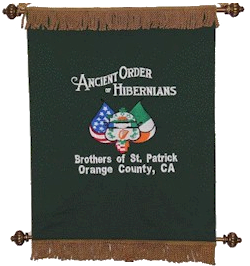 Open to Catholics of Irish birth or descent, the Hibernians embrace all things Irish. 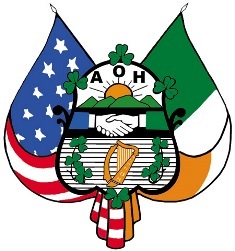 Founded to protect the clergy and support Irish immigrants, today’s emphasis is drawn from the AOH Preamble, which begins with “the AOH is to promote Friendship, Unity and Christian Charity.” Click Here to join us and have fun.